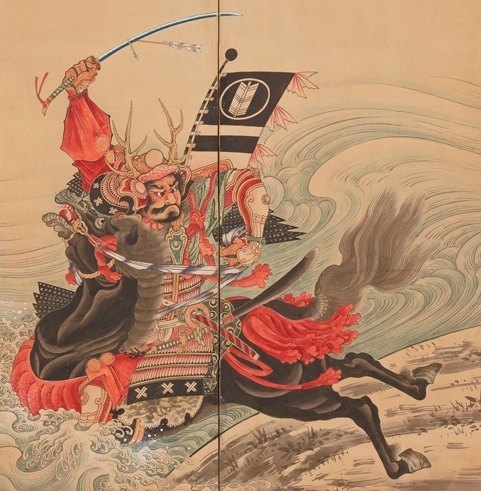 – The Flowering of Edo Period Painting: Japanese Masterworks from the Feinberg Collection, presents a rare opportunity to view ninety paintings, hanging scrolls and folding screens drawn from the holdings of noted American collectors Robert and Betsy Feinberg, who have put together one of the premiere private collections of Japanese Edo painting. 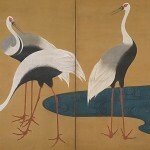 Comprising many masterpieces of the genre, the display provides not only the opportunity for viewers to appreciate works that are not ordinarily on public view but also to discover how Japanese painting evolved from the traditional modes of the orthodox output of the Tosa and Kano ateliers that dominated artistic production in the late medieval period to new, exuberant styles of the Rinpa, Nanga, Maruyama-Shijo and Ukiyo-e schools that thrived as the Edo period reached its apex. 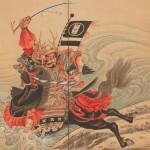 With works of nearly every major Edo painter featured including Yosa Buson, Sakai Hoitsu, Suzuki Kiitsu, Maruyama Okyo, Nagasawa Rosetsu, Soga Shohaku and Ike no Taiga, artists known best in the West for their woodblock prints, here represented by meticulously detailed paintings thought to have been commissioned by wealthy clients, the exhibition presents the Edo style in its entirety including the compelling scenes of nature, people at work and play, and scenes drawn from East Asian history, legend and literature that served as its painterly themes. 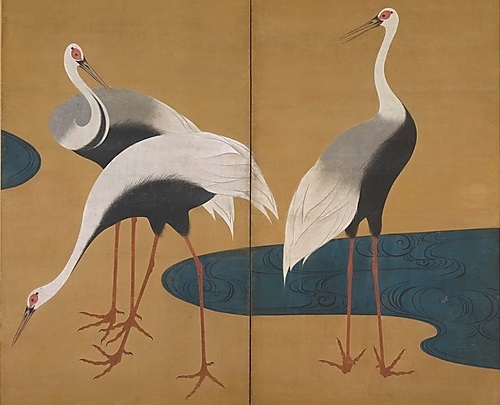 Highlights include Tawaraya Sotatsu’s ink-painted, hanging scroll, “Tiger,” (1630s), Soga Shohaku’s, “Race at the Uji Bridge,” (1760–67), Sakai Hoitsu’s rare set of a dozen, “Hanging Scrolls of Birds and Flowers of the Twelve Months,” (1817–28) and Suzuki Kiitsu’s two-panel, “Folding Screen with Cranes” (1828).